“What’s one thing about Mogadishu and Somalia that you wish everyone knew? Despite its perception, Mogadishu is a beautiful city filled with hard working and extremely entrepreneurial Somalis. Both Somalis at home, and those in the diaspora, are optimistic that a turning point has been reached after 21 years of conflict. 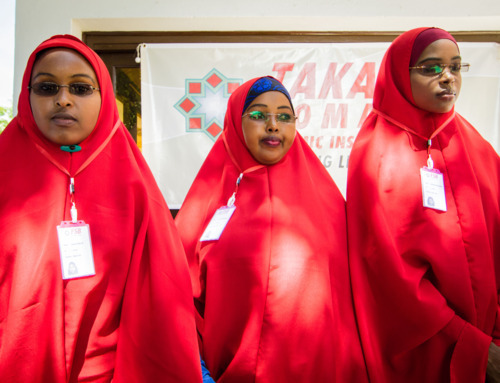 TEDxMogadishu — the first TEDx event in Somalia — will happen tomorrow, May 17, and livestreamed around the world. On May 17, between 50 and 100 people from diverse backgrounds will attend the event to listen to Somalis discuss the rebirth of Mogadishu. The event will be livestreamed for Somalis who can’t attend (e.g., the diaspora) and people who are interested to learn about the positive changes happening in Mogadishu. Why Mogadishu — what led you to organize a TEDx here? It is always a hopeful wonderment when despite all odds the hope of an oppressed people can and does flower! Bishop, don’t you just love it when God performs these miracles after we had lost hope? In our weakness is His strength, for sure! This article and especially that quote from it speak so wisely to the truth that no matter the particulars of a situation, culture, country, etc etc, we share our humanness and desire to live a productive, safe and happy life. Thanks again for sharing! We do have a lot more in common than we have differences, Diane! So pleased about your comment expressing this point of view here! Thank you and bless you always!